David Blaine is of course a household name in magic courtesy of his many TV specials. One of his all time favourite effects in card magic, is a routine called Strange Travellers. You can see Blaine perform it in a video clip here. It's a streamlined version of a classic effect that apparently a favourite for magician Nate Lepzig already more than 75 years. Strange Travellers is a cards across style routine which employs something from the classic Princess Card trick to produce a true miracle. 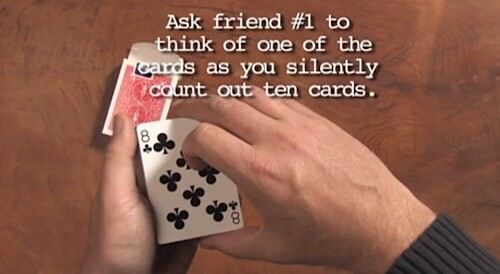 A spectator merely thinks of a card from a packet of 10. But when counted a second time, the packet now only has 9 cards and the thought-of card is gone - only to reappear in a second packet. This packet previously also had 10 cards, but now is counted to have 11 - including the merely thought-of card! This stunning routine was available commercially with revised gimmicks and routines from Paul Harris, and is a highly regarded packet trick, considered to be one of the very best. But Paul Harris want to refine the routine even further, by creating a version that didn't require any gaffed cards. So as part of his amazing True Astonishments Boxed Set, and inspired by a Larry Haas handling, he created "Naked Strange". The ad copy rightly describes it as: "A simple un-gimmicked version of Paul Harris's legendary Strange Travellers effect!" 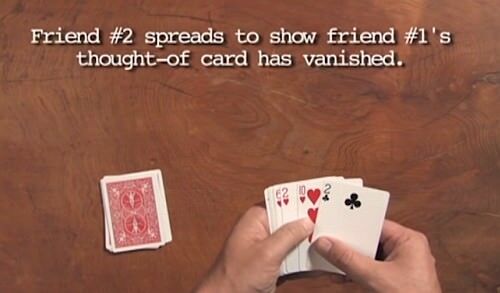 The basic concept remains the same: a card that a spectator is merely thinking of, invisibly travels from one packet of cards to another. Considering that the full 9 DVD True Astonishments set costs around $300, it's good news that this wonderful effect is now available for purchase separately, courtesy of "The Vault" series by Bro Gilbert. "Using a normal deck, you'll be able to achieve the following miracle. Spectator #1 mentally notes ANY card in a group of cards, and never tells anyone what it is. The packet is handed to Spectator #2, and the cards are counted to be sure there are exactly ten cards. Spectator #1 is handed a separate group of cards. The magician makes a magic gesture, and now Spectator #2 counts the cards, only to find that one is missing! The exact card that Spectator #1 merely thought of is now in Spectator #1's OWN packet of cards!" 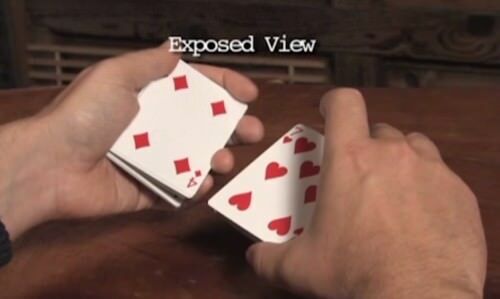 As you can see from the performance by Bro Gilbert in the video trailer above, that's entirely accurate, and exactly how the trick looks when performed. And yes, there really are no gimmicks or gaffed cards used! What you get for around $10 is an instant digital download of the video, which demonstrates and teaches the routine. You can play the video via streaming, or download it in *.mp4 format to view on your computer with any video program. The entire video is around 10 minutes long, and the downloaded file is about 100MB in total size. 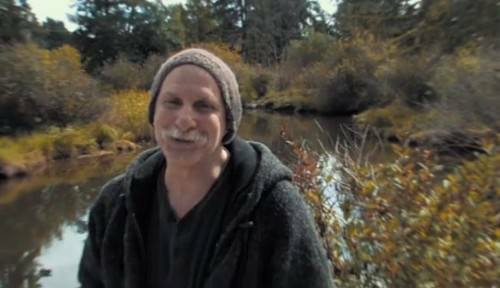 Those who are already familiar with the Art of Astonishment video set will be aware that Paul Harris uses a rather unorthodox style of teaching. First there's an introductory monologue from Paul himself, in which he talks about the general idea of the effect, and offers some suggestions about its mechanics. It probably makes most sense to watch this "PHoote Note" from PH (Paul Harris) after you've watched the performance and explanation. The performance actually comes after the explanation. But there is a good reason for that, and that's because the video (including the performance) doesn't include any patter. Instead, it features background music, while the trick is demonstrated and taught with the help of written captions on the screen. As a result, it would be hard to follow the silent performance without having had the benefit of the explanation first. The explanation itself however is very good, and there are multiple camera angles to cover exposed views, while the written text covers everything you need to know. If I had a complaint it would only be that it's easier to make sense of the explanation if you've first seen the routine performed in a real world setting, complete with spectators and patter. Fortunately, that's exactly what you get in the video trailer, with Bro Gilbert performing the trick to several groups of spectators, so I highly recommend you watch that first. His patter and presentation are excellent. Perhaps a better format for a video download like this would be to include Bro Gilbert's performance as the opening segment of the video, then go into the explanation from Paul Harris, and end with his PHoote Note in which he gives tips about the moves and talks about its origin. I've personally never had opportunity to try the original Strange Travellers routine, although I do know how it works and the gimmicks it uses, and I do love the strong impact of the routine as performed by David Blaine and others. But it does have an obvious weakness - you have to protect those cards, because you're in real trouble if the spectator starts grabbing cards and examining everything, because it won't take much to tip the method. With Naked Strange, this difficulty is completely avoided, because you're genuinely using a normal deck of cards. The handling of Naked Strange is perhaps not as clean, nor is the presentation quite as tidy as Strange Travellers. But wow, considering what it accomplishes, Paul Harris has come up with something very clever to produce a very similar effect without the help of gimmicks. What makes this routine so powerful is the fact that your spectator merely thinks of a card - they never pick a card, remove it, or state what it is. They have absolutely no need to think that a Princess Card concept is being employed, whereas when the Princess Card Trick is performed in its pure form, that method is much more likely to get noticed. But here the fact that a card appears to disappear from one pile and move to the other (confirmed by the counting) actually helps disguise the method, thus making the overall effect even stronger. The plot is very simple to understand, and the idea of a card impossibly and invisibly moving from one pile to another is already impressive. The fact that it is the very card that a spectator merely thought of makes it appear a true miracle, and it really does have potential to blow people away. "I really liked this effect. What makes it especially powerful is that the spectator's card is never named. Only the spectator knows it, and watching their reaction when it disappears is priceless!" - Katie D.
"Strange Travellers... so good! Now it's gimmickless... Every magician should own this." - Mason J.
I'm especially pleased that Bro Gilbert has released this as part of The Vault series, for a couple of reasons. Firstly, this means that now you can pick up Naked Strange as an independent digital download, and learn how to perform this routine with ungaffed cards. But secondly, as a special bonus you get to see Bro Gilbert perform this routine in the video trailer, which is a welcome addition not included with True Astonishment set. This addition does a good job of giving the effect the final polish it needed, showing us what good presentation of this routine looks like, and the impact it can have on spectators. So an all round big thumbs up from me! There have been ungaffed versions of a thought of card travelling from one packet to another before.